As more and more people are choosing to use the oldest and most basic form of transportation—walking, for fitness, sightseeing and more, there’s new evidence that even walking across the street is becoming more dangerous. 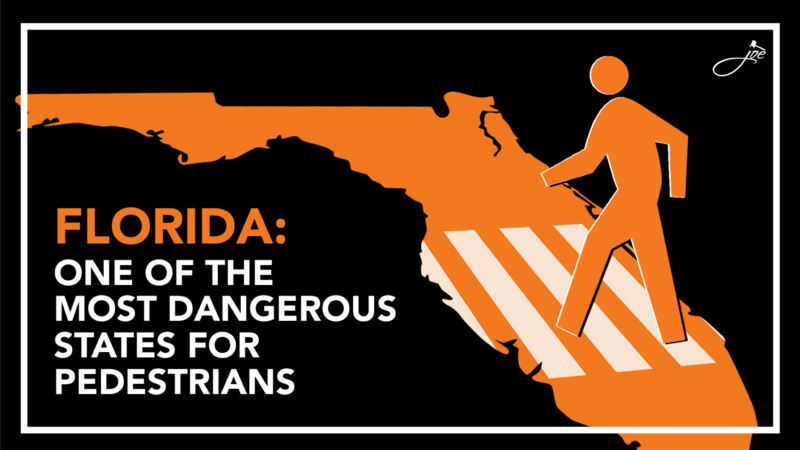 A report released by the Governors Highway Safety Association shows that the number of pedestrians killed in traffic jumped 11 percent in 2016, to nearly 6,000. That’s the biggest single-year increase in pedestrian fatalities ever, and the highest number in more than two decades. The National Safety Council reported that traffic deaths overall went up six percent nationwide in 2016. Most would assume that with increased safety of vehicles, as we move towards more semi-autonomous vehicles, that traffic deaths would go down. Unfortunately, the opposite is happening with a spike in fatalities as it relates to pedestrians and cyclists. Drivers and pedestrians distracted by cellphones and oblivious to each other, could be the cause of this spike in pedestrian injuries and deaths. 1. Be safe and seen: make yourself visible to drivers. 2. Be smart and alert: avoid dangerous behavior. 3. Look before you step! 1. Scan the road and the sides of the road ahead for potential pedestrians or bicyclists. 2. Before making a turn, look in all directions for pedestrians crossing or bicyclists coming up the road. 3. Do not drive distracted or after consuming alcohol or other drugs. 4. Do not use your cell phone while driving. 5. Look carefully behind your vehicle for approaching pedestrians, especially small children, before backing-up. 6. For maximum visibility, keep your windshield clean and headlights on. 1. Yield to pedestrians in crosswalks, whether marked or unmarked. 2. Yield to pedestrians when making right or left turns at intersections. 3. Do not block or park in crosswalks. 5. Never pass/overtake a vehicle that is stopped for pedestrians. 6. Obey speed limits and come to a complete stop at STOP signs. 7. Use extra caution when driving near children playing along the street or older pedestrians who may not see or hear you. 8. Always be ready to stop for pedestrians. 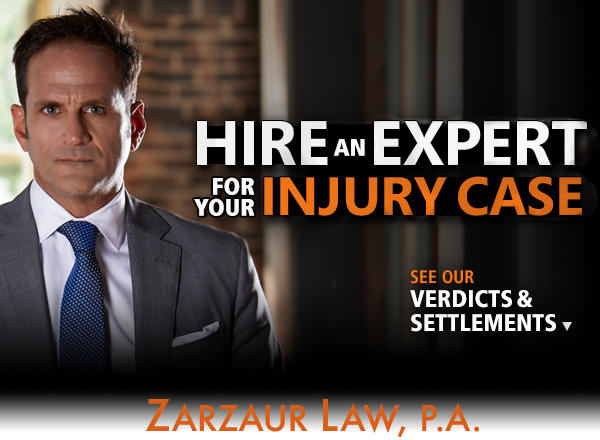 Joe Zarzaur is a Board Certified Civil Trial Attorney whose firm is dedicated to promoting community safety since 2007. OUR AREAS OF PRACTICE: Serious Personal Injury, Product Defect, Auto Accidents, Cycling Accidents, Motor Vehicle Accidents, Products Liability, Wrongful Death, Community Safety, Boat and Jet Ski Accidents, Slip and Fall Injuries, and more. Licensed in Alabama and Florida. If you or a loved one has been seriously injured due to the fault of a distracted driver, it is important to consult with a Board Certified Trial Lawyer who has the knowledge and experience to help you. We know accidents can be stressful and want to make the process as easy as possible for you. Call Zarzaur Law, P.A. today at (855) Hire-Joe for a free legal consultation or visit www.zarzaurlaw.com.